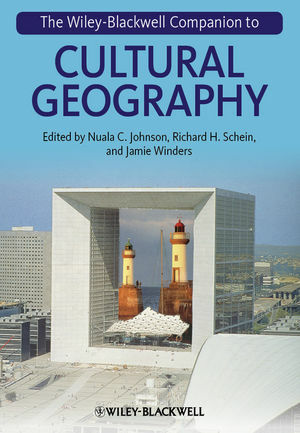 Combining coverage of key themes and debates from a variety of historical and theoretical perspectives, this authoritative reference volume offers the most up-to-date and substantive analysis of cultural geography currently available. Nuala C. Johnson is a Reader in Geography at Queen’s University Belfast, UK. An historical geographer with research interests that include the relationships between identity politics, memory and representation, as well as the role of aesthetics in the making of scientific spaces. Dr Johnson is the author of Nature Displaced, Nature Displayed: Order and Beauty in Botanical Gardens (2011); Ireland, the Great War and the Geography of Remembrance (2003); and she is editor of Culture and Society (2008). Richard H. Schein is Professor of Geography at the University of Kentucky, where he also is a member of the Committee on Social Theory and the American Studies Faculty. He is a cultural and historical geographer interested in the place of land and landscape in the processes of everyday life. His work often is focused on the racialized US south, and especially in urban settings. He is the editor of Landscape and Race in United States (2006). Jamie Winders is Associate Professor in Geography at the Maxwell School of Citizenship and Public Affairs, Syracuse University, USA. An urban social geographer with a focus on social theory and qualitative methods, she has published widely in geography and related fields on international migration, racial politics, urban governance, postcolonial theory, pedagogy, and historical geography.